The Blue Door Society is a special recognition program providing an opportunity to recognize those employees who have achieved more than five years of service with Buckingham. Hiring and retaining outstanding performers who embody Buckingham’s Mission, Vision, Values & Key Success Qualities is essential to the growth and development of the company. 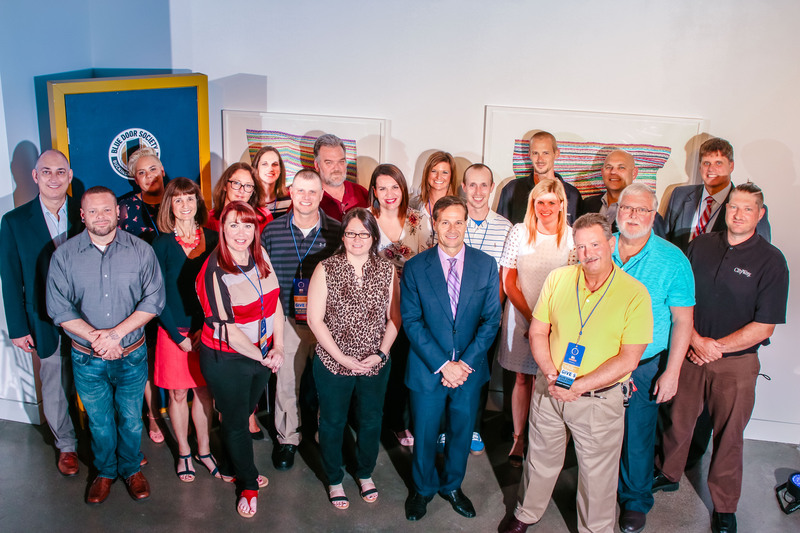 Established in May 2015, the Buckingham Blue Door Society is a special recognition program providing an opportunity to recognize those employees who have achieved more than five years of service with Buckingham. The purpose of this organization is to recognize tenured employees and celebrate those who've dedicated their careers to bettering the Buckingham portfolio. Vested incentives ranging from $1,000 - $10,000 for full-time employees and $500 - $5,000 for part-time employees. Blue Door Society apparel and lapel pin. Spotlight acknowledgements of members in Buckingham Wins newsletter. Social media campaign welcoming new members. Additional Blue Door Day for time off with family and friends. Paid vacation valued from $1,000 - $2,500 for 15 and 20 years. $2,500 jewelry certification for members who achieve 25 years of service. "The Blue Door Society is important for the Buckingham culture because it shows how valued long tenured employees really are," says Jennifer Salemme, a 16-year Buckingham employee for the Development team. "Not only does it recognize that value but it gives the company an opportunity to celebrate it!" Each year at the Buckingham Leadership Conference, recognition will be awarded for 5 years; 10 years; 15 years; 20 years; and 25 years of service. All Blue Door Society members are invited and encouraged to attend the Induction Ceremony held at the Annual Conference. Of our 337 Buckingham employees, 29% are in the Blue Door Society. "The Blue Door Society reminds me to take time to celebrate our long term achievements. Our long term employees are a strong part of the Buckingham culture and pave the way future successes. As a member, I see my part in the company’s accomplishments and remember that together, we can make a difference," says Rachel Miller, seven year Buckingham employee who's worked on-site and now is part of the Operation's team. Throughout the year, many opportunities are taken to recognize this special group of teammates; from the Blue Door Society logo placed outside a member’s corporate office space to colored ribbons on the member’s nametag at the Buckingham Leadership Conference. *The Blue Door Society replaces any previous tenure or anniversary recognition program. Vacations must be taken within one year of the presented award. Buckingham Companies is excited to announce that two of its properties are listed on the J Turner Elite 1% List, which is published by Multifamily Executive annually. Buckingham Companies is proud to announce that 24 communities within its portfolio have been recognized with the Top-Rated Award from ApartmentRatings in 2018.